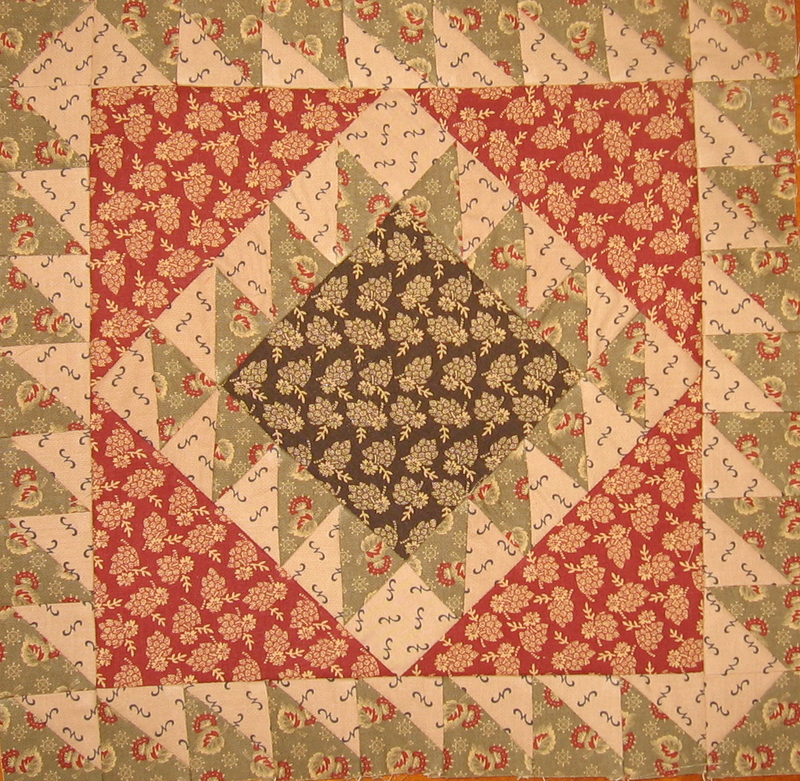 Whew, I finished another block today for the Civil War Tribute Quilt. I really wanted to get the whole quilt top done by now, but work and life just interfere with sewing time. My new goal is to have this done by the end of June (you heard it here first – so you can hold me accountable). This is Block 7 and it my favorite one so far. The fabrics and colors are so beautiful, the picture doesn’t do it justice. This one was challenging because it had some many half square triangles AND because you had to cut the pieces into odd sizes based on 1/16ths. It turned out pretty well, and I don’t think it will look so wonky once it is part of the larger quilt. I only need to make 7 more of these to finish up Month 7! Back to the sewing room!